Tree - Free Natural Organic Paper 6 x 6 art pad. Made from Lemon Paper™ natural fibers give every sheet some character. Feel nature as you create. Tree - Free Natural Organic Paper, An Artist's dream pad! 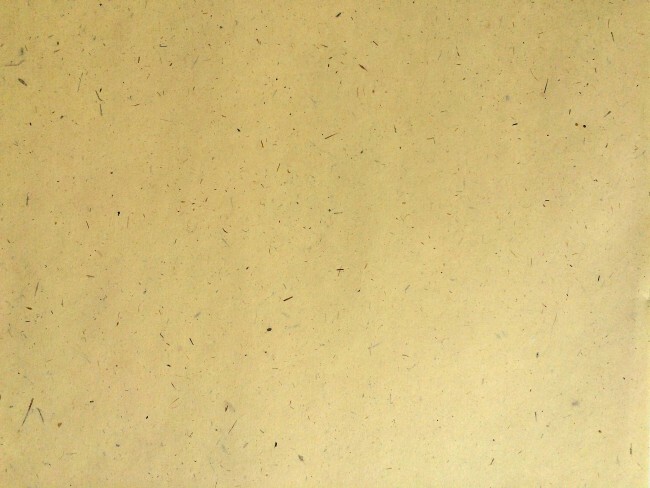 Lemon Paper™ with natural Mango fibers give every sheet some character. Feel nature as you create. 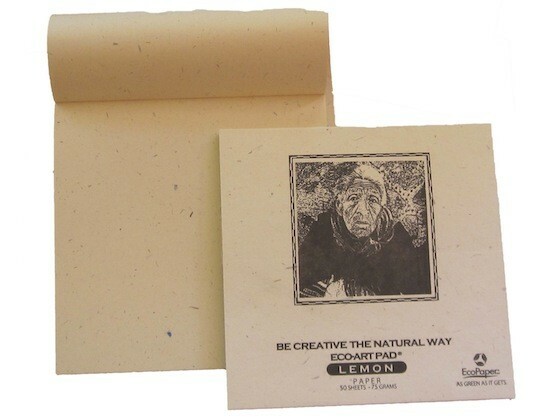 This Banana™ Paper Art Pad is made from a blend of post-consumer waste & agriculture waste. Our tree free paper journal includes Costa Rica Natural Papers Banana™ Paper. Our organic notebook is excellent for keeping personal notes, ideas, or for travel purposes. Thoughts, memories, travel experiences or plans for the garden all can be written in your notebook or Journal. Made in Costa Rica from post-consumer waste and plantation agricultural waste fibers. We also make, Coffee Paper™, Banana™ Paper, and Mango Paper™ and are Tree – Free please review our web-site for more information. • Other Paper Details: Tree free Paper, Acid Free Paper, Better than a recycled journal or a recycled notebook.